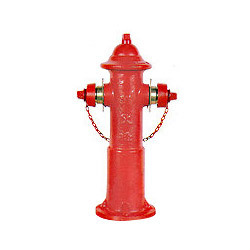 The common type ground fire hydrant have 2 way suctions which connect fire hose to serve a fire fighting. 1. Series no. : (1) AVH 682K. (2) AVH 682F. 2. Nominal size: (1) 3" 150 1 b FF/ ANS116.5. (2) 4" 150 1 b FF/ ANS116.5. 4. Direction: counter clockwise to open.